Antioxidant-rich lemon adds zest to culinary dishes. Outside of the kitchen, its antiseptic qualities shine. Here are four modern ways to use this versatile fruit. 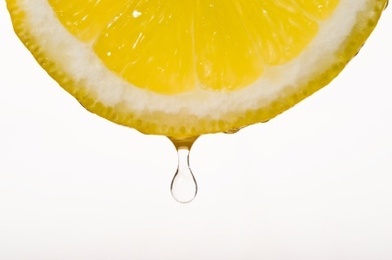 Because lemon juice is highly antibacterial and antiseptic, it can help treat acne. Mix 2 teaspoons fresh-squeezed lemon juice with 1/2 teaspoon rose water. Soak a cotton ball in the mixture and lightly sweep over face (not for sensitive skin). Leave on overnight and wash off in the morning. Most citrus fruits are effective insect repellents. Place rinds on a cookie sheet, and dry in an oven heated to 150 degrees for three hours. Gather a cupful of dried rinds into a large piece of cheesecloth, tie with a string, and hang in closets or storage spaces to keep out moths. Lemon essential oil’s scent invigorates and refreshes senses. The oil increases circulation, and its vitamin C stimulates collagen, which encourages smoother, more elastic skin. Natural, cold-pressed lemon oil should smell complex, fresh, and aromatic. Always smell a lemon-oil product before purchasing–if it smells harsh, it’s probably not all-natural. Dab on gently. Preserved lemons are simply lemons that have been pickled in salt and their own juice. Chop 2 lemons (rind and all), and mix with 2 tablespoons olive oil, a pinch of salt, and a few cracks of pepper for an incredible bread dip. Or sprinkle over a nicoise salad. Delicious Living is the go-to resource for the natural and organic lifestyle, helping readers eat well, live green, and stay healthy. Visit deliciouslivingmag.com for more articles and free recipes. Will have to try lemon rind for my pantry moths!! !